What should investors in the precious metals market do next on this wave of Obama’s win? The way we see it is to wait for any initial reaction of pessimism to subside. Precious metal devotees are a special breed that still must operate within basic rules of the game. What is the market signaling to us? Immediately after Obama’s victory, there has been a selloff in the general market. Note carefully that gold and silver has held up well despite a significant decline in the Dow Jones Industrial Average and S&P 500. The market will do whatever it can to confuse, misdirect and obfuscate. 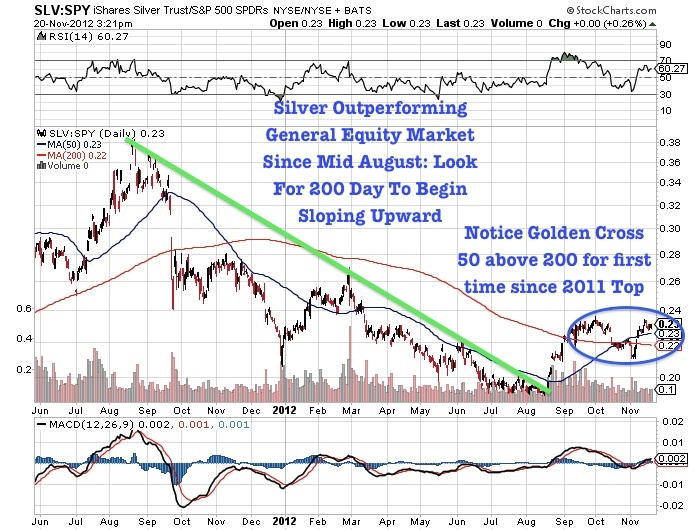 The recent decline in the S&P 500 not only was unmatched by the action in gold, but we note silver is outperforming as well.